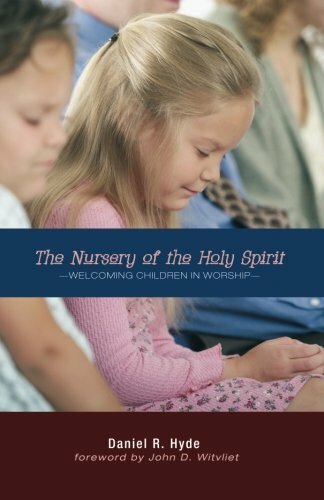 The Nursery of the Holy Spirit: Welcoming Children in Worship, Daniel R. Hyde, Eugene: Wipf & Stock, 2014. Paperback, 69 pages, $13.00 USD. There are heaps of Reformed books about children, but they typically hone in on just one topic: infant baptism. However, this is the only book that I have encountered that speaks to the place of children in public worship. 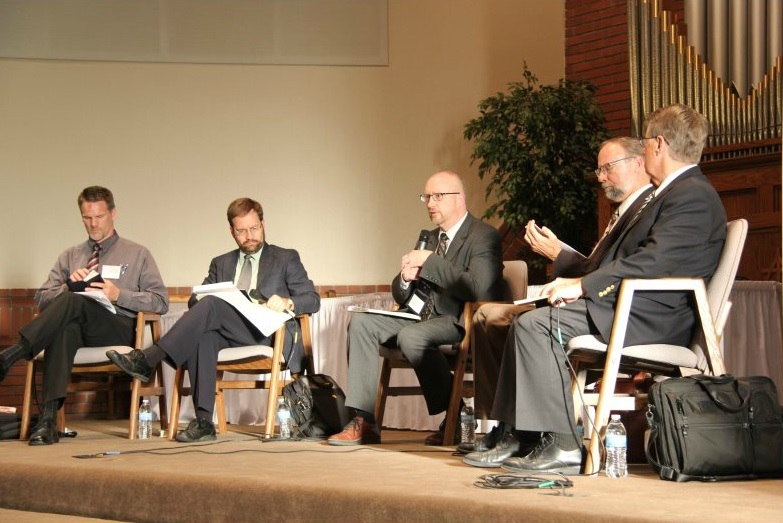 It’s an important topic and one that is often discussed informally in Reformed churches. Some want to shuffle their children off to special programs, even when they are school age and can sit quietly in church. The argument is that children don’t get anything out of the service anyway, so why should they be there only to distract their parents and others? Others become impatient with the children who are in church and are in the process of learning to sit quietly. We all talk about children in the worship service, but do we always do that with the right perspective? This book brings a much-needed biblical approach. The author is a well-known author and Reformed pastor. He currently serves the Oceanside United Reformed Church in California. Moreover, as the father of four children, he has a vested interest in the topic. He understands the challenges that Christian parents face when it comes to worship. Hyde’s little book argues persuasively that children definitely have a place in the church’s public worship. Since the church is “the nursery of the Holy Spirit,” from their youngest years, the children of believers belong with God’s people as they meet with him on the Lord’s Day. The book not only argues this point, but also helpfully provides some practical advice on how to make it work. 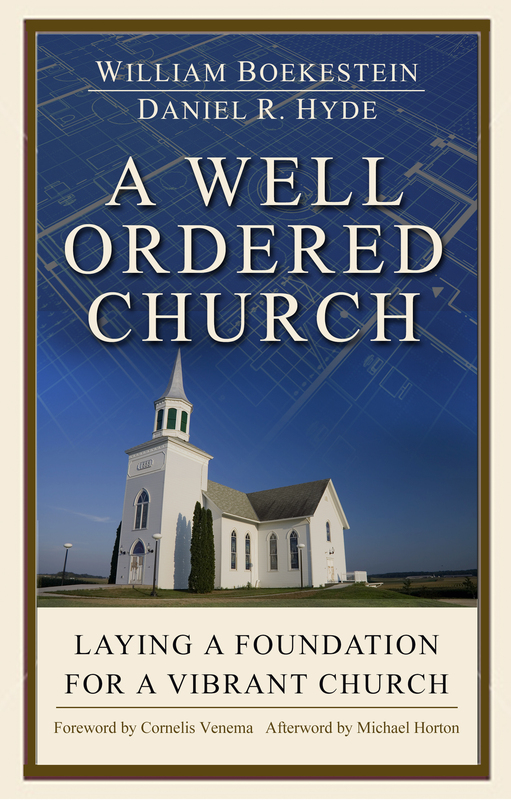 In the first chapter, Hyde lays out our contemporary situation and how we got to this point where many people (even in Reformed churches) assume that children don’t belong in public worship. He looks at the history of this topic. The second chapter looks more closely at the relevant Scripture passages from the Old and New Testaments. The final chapter is where the author offers the answers to several practical questions. As much as I appreciated it, I have one critical comment to make. In the first chapter, Hyde asks the question: “With whom does God make his covenant?” His answer is two-fold. He first says, “From the point of view of God and eternity, he made it with Christ and the elect.” Then he quotes from the Westminster Larger Catechism QA 31. He goes on to add, “From our point of view in history, God made his covenant with believers and their children” (9). He supports that with a quote from Canons of Dort 1.17. This two-fold answer is unsatisfactory and regrettable. It leaves the impression that, from God’s perspective, he does not truly covenant with all our children, but only with our elect children. Hyde has dealt with this question before. In his great little book on infant baptism, Jesus Loves the Little Children, he simply said that the covenant is made with believers and their children. I wish he would have just given the same answer here. Thankfully, I did not see any evidence that this problem impacted the arguments that follow. Overall, this is a fantastic resource. I would highly recommend it, not only for parents, but also for office bearers. After all, office bearers need to provide leadership in encouraging families to worship together. They need to make decisions in the church that encourage the children to be present as soon as they can. For all of us, we need this valuable reminder that, when God calls his covenant people to worship, he also calls our little ones. He loves to hear them sing, watch them listen, participate in the offerings, and everything else. If Jesus said, “Let the little children come to me,” who are we to stand in the way? 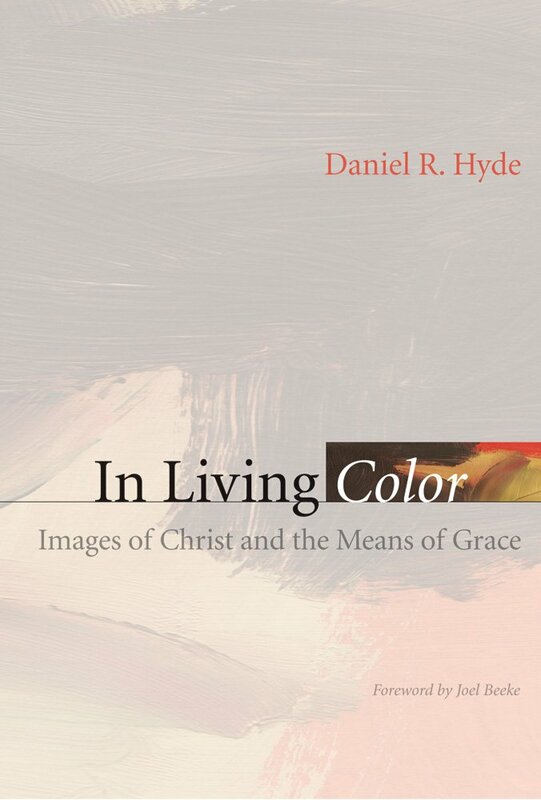 In Living Color: Images of Christ and the Means of Grace, Daniel R. Hyde, Grandville: Reformed Fellowship Inc., 2009. Paperback, 192 pages, $13.00 USD. It’s fair to say that the lawfulness of pictures of Christ is virtually taken for granted in many Reformed communities. Especially when it comes to the teaching and discipling of children, almost everyone assumes that a story Bible with pictures (including pictures of the Lord Jesus) is a given. The status quo is that, while we would perhaps never dream of having pictures of the Son of God in our worship services, it is quite acceptable to have them elsewhere especially for educational or evangelistic purposes. In this book, Daniel Hyde (United Reformed minister in Oceanside, California) challenges the status quo on images of Christ. He does so first of all using the Word of God, but he also brings in the witness of the Reformed confessions and church history. According to Hyde, images of Christ are not lawful and have no place in either our worship services or our daily lives. While God can certainly use crooked means to accomplish his purposes, his will is that we use his means in propagating the Christian faith, whether with our children or with adults. In the introduction, the author gives the rationale for the book. It emerges from discussions with his parishioners about the evangelistic potential of Mel Gibson’s 2004 movie, the Passion of the Christ. In the first chapter, Hyde surveys what the Scriptures teach about “Man’s Media.” Here he also helpfully interacts with authors who argue for the use of images, such as Jeffrey J. Meyers. The Reformed confessions are also exposited on this point and Hyde concludes that their message is unanimous: “they forbid all images of God, whether they were intended for worship, education, or artistic expression” (86). In the two other chapters, Hyde makes the positive case for “God’s Media”: the preaching of the Word and the administration of the sacraments. He urges Reformed believers to learn contentment with the means of grace that God has appointed. In Living Color is not long and it’s written at a level which should be accessible to most readers. Speaking personally, I came to this book convinced of its position beforehand. Nevertheless, I do think that Hyde presents the best case against images of Christ that we’ve heard in a long time. This is an excellent book on a neglected subject and I recommend it highly. May it be a tool in God’s hand to create a new status quo!